Alaba Report: Tuesday, November 1, 2016 LIS is finally here! Yay!! Tuesday, November 1, 2016 LIS is finally here! Yay!! LIS is finally here! Yay!! 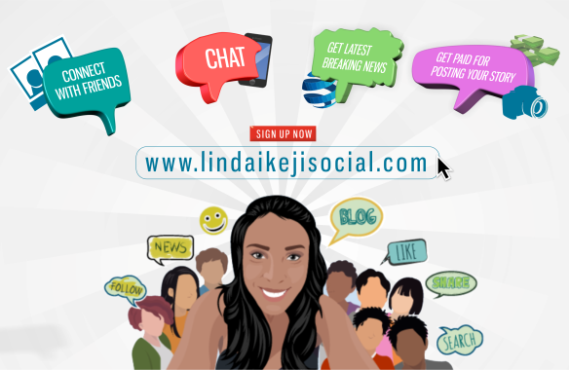 LIS is basically Facebook meets Linda Ikeji Blog meets ebay.com! You can connect with friends on LIS, chat, get the latest breaking news, sell your eye witness stories to us and get paid. You can also buy and sell your goods and services from authentic buyers and sellers. LIS is so different from other social networking sites in the world because you can make a lot of money by being one of our LIS affiliates via your business pages. There will also be a lot of giveaways happening on LIS...starting next week! We are giving away N1million.